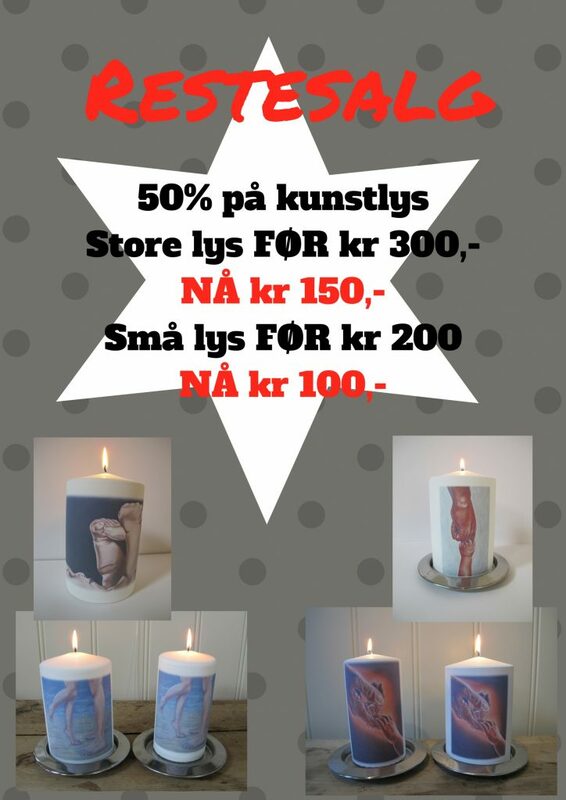 I received test prints for new art candles this week, they are now currently under production and will be available for sale, from my web shop and my art studio, around the middle of next week. Both of the motifs were originally painted on Egyptian papyrus and the originals have been sold this week. When new merchandise is on it’s way in something else has to go out. So I have had a proper tidy up in my shop and am currently selling out some art candles at sale with 50% off. 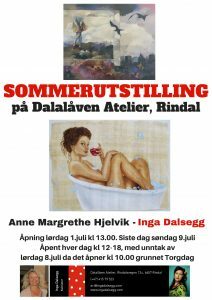 Today is the very last day of this years summer exhibition here at my art studio. 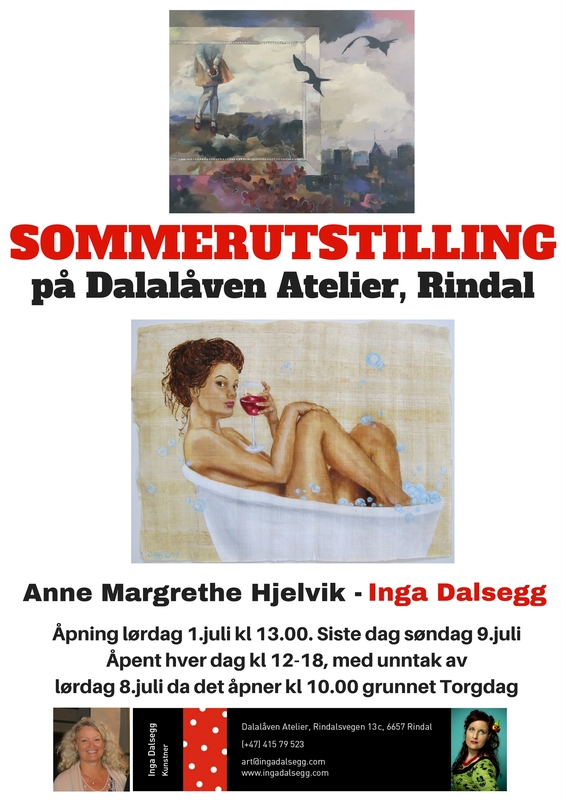 I am really impressed by the amount of people that have travelled really far to come here to see the art of Anne Margrethe Hjelvik and myself! A lot of paintings and drawings have sold, some of the pictures were sent home with their new owners early in the week, as this was people that had travelled far. I had intentions of trying to get some painting done myself, but due to the amount customers this has been impossible. But there’s always next week!